Locations › NH › Salem › 99 Rockingham Park Blvd. 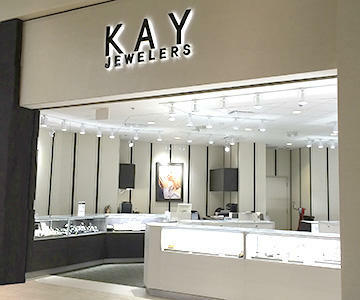 Since 1916, Kay Jewelers has grown from one store to more than 1,100 from coast to coast. As the #1 jewelry store in America, we know that offering fine jewelry at a great price is only part of the story. We are fully committed to providing a superior shopping experience - both in our stores and online. Our jewelry consultants are empowered with the knowledge to assist each guest. Shop our selection of engagement rings, wedding rings, diamonds, gemstones, gold, contemporary metals, watches and more. Kay Jewelers carries a wide selection of famous name brand styles, including Ever Us™, Neil Lane Bridal®, The Leo Diamond®, Tolkowsky® diamonds and Le Vian Chocolate Diamonds®. Come visit your Kay Jewelers in Salem today.